I've found abdominal wheels to be very effective at strenghthening abs. I've also been told they can cause spinal injuries due to the leverage put on the spine. Would you agree? 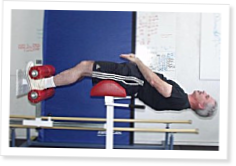 It is not about "strengthening" the abs, it is about risk versus benefit ratio. It is well proven in the literature that repetitive hyperextension causes spondylolisthesis and facet joint overload. Anything can injure you if you're not using proper form or if you're just plain doing it wrong.